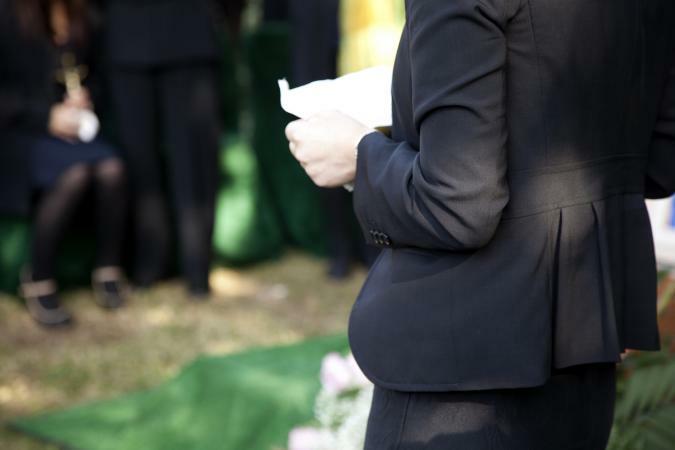 Sample eulogies can provide ideas when you need to prepare a speech for a funeral. 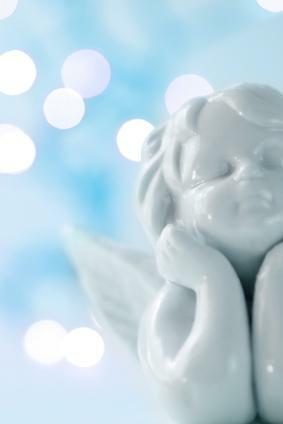 Being asked to give a eulogy is a great honor, but it can also be daunting. Finding the right words to mark the passing of a friend or family member's life is difficult when emotions run high. There is no right or wrong way to write a eulogy, but each tribute has a basic flow. The speech doesn't have to be perfect; it just has to come from the heart. Following an easy format makes it easier to pull together a eulogy for a friend and takes some pressure off starting from scratch. Follow this format to make composing the eulogy easier. Thank you all for coming to help us celebrate Liza's life and share our grief at her passing. My name is Carol, and Liza and I have been best friends since childhood. We lived just five houses apart on National Avenue, and we spent part of nearly every day together as kids. When I think of Liza as a child, I remember how much she loved exploring the ravine behind our house. Half of our summers were spent wandering through the woods, looking for crayfish under rocks along the creek, climbing trees, and generally doing things that would have given our parents gray hair much sooner if they knew what we had been up to each day. I have to share one memory that really illustrates Liza's fearless, and sometimes impulsive, nature. Some of the neighborhood boys had built a rope swing in a tree along the ravine's edge. Liza, being fearless, decided to give it a try. As she swung out over the edge, one of the boys jokingly called out, "Jump!" My heart leaped to my throat as I saw Liza let go of the rope on her next swing out. Luckily she wound up with nothing more than skinned knees and a sheepish grin that said she couldn't believe she had just done that, but it just goes to show what a risk taker she was. More than a simple risk taker, Liza also had a generous soul, as I'm sure many of you here this morning can attest to. She never met a person in need that she didn't find some way of helping. Her work as director of our local family shelter became her greatest passion, and she put in tireless hours organizing meals and places where "her families" could all stay together until they could get back on their feet. I say, "her families" with all seriousness because she didn't just take them into shelters; she really took them into her heart and kept contact with them even after their lives were back on track. When you combine the facts that Liza was a compassionate soul and willing to take risks, it's not difficult to understand why she ventured out in that terrible snowstorm on Wednesday night to try to take food and diapers to one of her families in need. Yes, maybe they would have been alright until morning, but that wasn't how Liza would have thought about it. She would have worried about their empty stomachs and imagined the sound of that baby's crying. She would have set any thoughts for her safety aside and gone to their aid, and that's exactly what she did. Of course, we now know that she never made it to that family. We can second guess Liza's decision with 20/20 hindsight, or we can embrace the fact that she died doing something she believed in so deeply. Knowing her as I did, I can tell you that her only regret about her decision to go out on the road that night would have been that her husband, Mitch, is now left to carry on without her. As passionate as she was about her shelter work, Mitch was truly the love of her life. It may comfort us all a bit to realize that Liza is now reunited with her beloved parents, Lee and Meredith, and that someday we'll all be together again when we cross over to the other side. This is only a brief parting in the larger scheme of life. One thing you may or may not know is that Liza was a huge fan of the band Queen. She particularly loved a song called Dear Friends, and she once made me promise that if she passed before I did, I would play the song at her memorial, or at least read the lyrics. So, I'll read those now in closing, and I hope they leave you with the message that time will heal our wounds, and that life truly does go on. 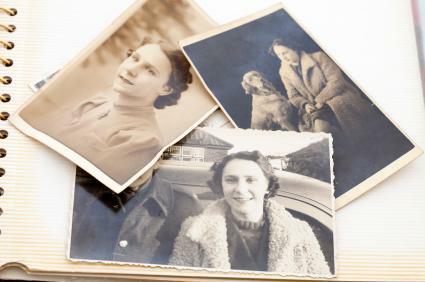 Writing a eulogy for a parent's death can be an incredibly emotional task. Use the following sample to help you create one personalized for your parent. For anyone who may not know me, my name is Jean, and I am Rita's eldest daughter. Thank you all for coming here today to help us say goodbye to Mom. To me, Mom was my guiding light. She set the example of what a good wife, mother, and friend should be. She always did her best to be patient with all of her children, and there were five of us, so that was no easy feat. She tried to carve out some quality time with each of us, and believe me, we were all jealous when it was someone else's turn. However, that just shows you how much we all loved her and wanted that one-on-one time with Mom. When it was your turn, you found out that she hadn't really missed out on anything that was going on in your life, she just hadn't talked with you about it yet. As for her life with Dad, she set a shining example of the kind of unconditional love required to see a marriage through good times and bad. I remember when Dad lost his job at the auto factory. He was so worried about finding work, and he felt he was letting Mom and all of us down because he couldn't provide for us. Mom gave him a big hug and told him she had no doubt that he would find another job that was as good or better than the one at the factory, and she took a job as a cashier at the grocery store to help tide us over until he found work again, this time as a manager in another factory instead of just working on the line. That was Mom; always an optimist, always willing to pitch in and do whatever was needed, all the time truly believing that things would work out in the end. Mom was also a fantastic friend. She always saw the good in people, and if she saw the bad, she certainly didn't gossip about it. If you needed her, she was there and asking what she could do to help. I remember how she helped Mrs. Johnson get back and forth to work one week when her car was in the shop. When her best friend Mary needed a new pair of glasses and didn't have quite enough money, Mom insisted on loaning her the rest. Mom was there for all the highs and lows of her friends' lives, and I think the size of the gathering here is a testament to how much they all loved her. As much as I'd like to think I was Mom's favorite child, I know she truly didn't have one. We were all her favorite in one way or another. She always used to talk about what a wonderful artist our sister Ellie is. Our eldest brother Mark was her dependable child. She said God had "built Mark solid," and she was thankful she could lean upon him if she needed to. She adored our brother Greg's sense of humor since it was so like her own. They shared many a private laugh together about things that went over the rest of our heads. Callie was her "quiet one." Mom said that whenever Callie was especially quiet, that meant she was thinking up a storm on the inside. As for me, Mom always said I was the keeper of the family chronicles because of my habit of journaling every night before I went to bed. She'd come in to say goodnight, and I'd let her read the day's entry. I think that must have been what inspired her request that I speak to you all today. The death of a child rocks the very foundation of people's view of the world as a good place. Use the sample below to help you pull together something appropriate yet touching. Thank you all for joining us here today, although I'm sure many of us wish we were gathering in celebration rather than in mourning. My name is Julie. I am Lisa's aunt, and I'll be speaking on behalf of Lisa's parents, my sister Gwen and her husband Mike. I remember the day Lisa was born. She was the most beautiful little baby you could ever hope to see, and she was an especially wonderful blessing to Gwen and Mike who had struggled for years to have a family. With this one child, all their prayers had been answered. Lisa was by all accounts an easy baby to raise. She was sleeping through the night by the time she was three months old, and she had a naturally happy disposition. Anytime someone new would enter the room, baby Lisa would give a great big smile and stretch out her arms to offer a welcoming hug. Of course, this instantly endeared her to everyone who ever came in contact with her. Lisa was definitely meant to bring love into this world for the all-too-short time we would have with her. In light of how desperately Lisa was wanted and loved by her parents, as well as everyone here today, it's difficult to understand why her life had to end so soon. It's nearly inconceivable that God would allow a young child to become ill and suffer, let alone die. When you look at it that way, it's easy to be angry at God for taking back the gift He gave. I choose to look at it another way. God saw how dearly Mike and Gwen wanted to know the joy of having a child of their own, and even though it might not have been meant to be, he gave Lisa to their keeping for a short time so they could know that joy. When Lisa became ill and her suffering was too much to bear, he scooped her up to Heaven, and all her suffering was gone. I believe she now waits patiently for the day when her parents will join her, and they will all live happily together once again. I believe that she would want us all to dwell on the happy times we shared with her, and let the sad memories fade. At this time, I'd like to offer you all the opportunity to share some of your favorite memories of Lisa's brief life. A eulogy is a final favor to the deceased, revealing the best parts of their life to the people who loved them. Highlight the person's life instead of focusing on how you feel about the loss. 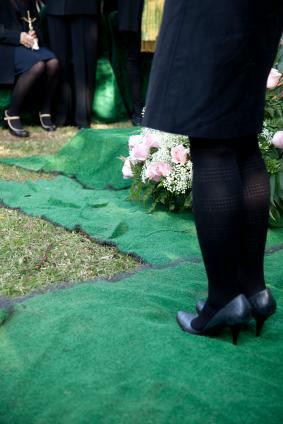 Eulogies need not be long; the average length is between three and five minutes. You don't want to overwhelm those in attendance by speaking any longer than this. The key here is to be honest with your feelings and thoughts. You should always draft a copy of your speech and, if possible, rehearse it in front of someone. Make sure you print a copy of the eulogy and give a second copy to someone who can act as a backup in case you get sick or are overcome with emotion. Don't try to write the eulogy in the order that you'll give it. It's easier to begin by jotting down your thoughts about various aspects of the deceased's life. Think about the following points and see if anything springs to mind. If it does, write that now, and then you can put things in the order you want them later. Funerals and memorials are very difficult times. It's okay to cry and share your emotions while delivering your tribute. However, don't try to memorize your speech. It's best to keep your notes in outline form or on note cards for reference to help you stay on track and to ensure that you cover all the key points that you plan to bring up.